Brand perception – or brand image – is a concept that plays a strong role in determining a company’s growth and profitability. This concept is not owned by your brand but the customers you deal with. It doesn’t matter what you wish to convey about your brand – customers will mentally gather information about your business and generate brand perception. You will have to conduct surveys or rely on feedback to measure prevailing brand perception and how it will impact your brand. Does your brand need a re-adjustment in brand perception? If your company is not doing as well as it did earlier, it’s time to understand what the target audience thinks about your brand. 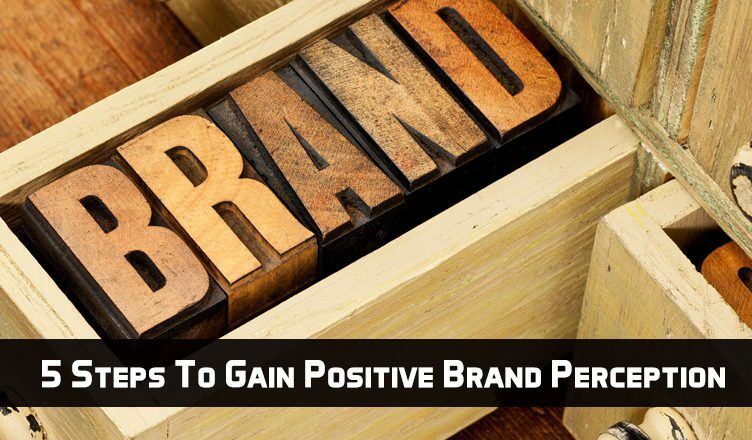 The tips provided in this article will help you take the right steps to gain positive brand perception. Your website is usually the first point of contact for your target audience. It’s important to use a technology-driven website that is mobile-friendly, SEO-optimized, and visually appealing! Also, make sure the site has easy navigational features to ensure visitors don’t have to sweat much to find their way around! A quality and memorable logo can do a good job of highlighting your brand to the world. Hire a professional graphics designer to ensure you get a logo that is trendy and features the right colors. A logo that is pleasing to the eye will win hearts in no time! It’s important to build personal relationships with current and prospective customers. You can do this by having regular calls or meetings with them. This will give them the impression that you are willing to go the extra mile to keep them happy! A good majority of your target audience has social media accounts. Make sure you connect with them through sharable posts – winning their attention online is key to gaining quality brand perception. Launch contests on Facebook and Twitter to ensure they remain hooked to your brand! It’s important to gain the trust of the local community. You can achieve this by hosting events looked forward to every year. It could be a sport-based event, an awareness campaign or a fun-filled party! Gaining the goodwill of the local community will go a long way to ensure your business enjoys a spike in brand image. We hope this article serves as a diving board towards a more refined brand perception experience. Get in touch with us and we will provide you with more branding tips to help you leap ahead of competition! Also, our giveaway ideas will ensure your next marketing campaign is a successful one!